COUGAR, founded in 2007 to provide enthusiasts with high quality alternatives releases its latest range, the Dual X. March 13th 2013, Taipei - COUGAR, leading Taiwanese/German PC case and power supply brand, has introduced a new line of LED fans called Dual X. COUGAR launched their VORTEX line of fan products in November of 2011 and today that series has become COUGAR’s best selling product with over 200,000 units sold in the USA. After more than a year of having received outstanding feedback from system builders and enthusiastic DIY users, COUGAR fans have a proven track record. COUGAR’s fan products have been designed and tested under a series of strict criteria including air flow, air pressure, noise, performance and lifespan. 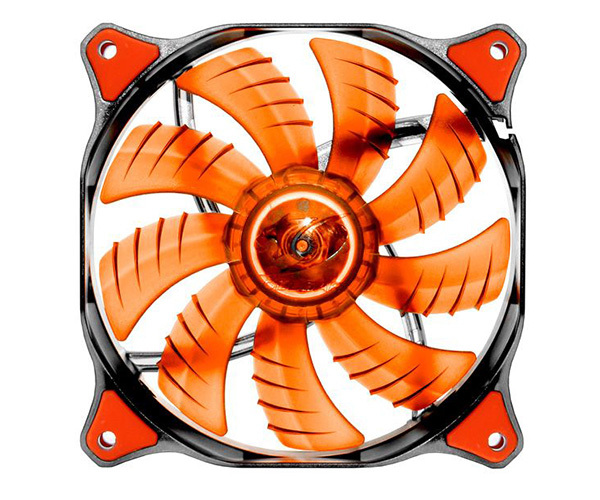 The engineering has proven the design to be the optimal combination of cooling efficiency, silent operation and high lifespan, making it one of the best cooling fans on the market. Now COUGAR is introducing a new line of 120mm and 140mm fans with LEDs called Dual X. COUGAR’s Dual X LED fans provide an option for gamers and enthusiasts who like the visual effects of LED fans in their rigs. 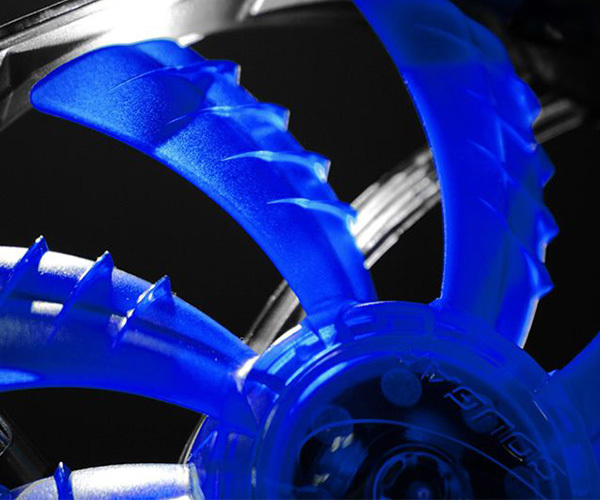 But COUGAR goes one step further since their fans are designed and patented with exclusive technology, making them stand out among various LED fan producers. There are 4 colors to choose from with either orange, green, or blue LED powered transparent blades (the black blades have no LEDs) that generate colorful visual effects. COUGAR DIVERSION CLAWS DESIGN – The innovative COUGAR diversion claws provide focused airflow and reduced noisy air turbulence. ANTI-VIBRATION PAD & AERO-DYNAMIC DESIGN – This greatly reduces vibration and assures a silent operation. The air-inlet with optimal aero-dynamic design reduces noisy air turbulence further. 1. Closed oil retention design: This is an improvement over the traditional bottom seal design. There is a seal at the bottom of the fan to form a closed oil retention circuit. This prevents lubricants from leaking and prevents dust from entering the system. This also greatly extends the fan’s life and reliability. 2. Large spaced oil storage design: With the traditional fan the unsealed bottom does not have a lot of storage space for the lubricant. The hydraulic bearing fan uses a closed bottom with an oil storage space to help keep lubrication. 3. Special low-wear, high temperature lubricants: the hydraulic bearing design uses a special low-wear, high temperature lubricant. These are synthetic lubricants that last a long time. Even if used continuously for a long period of time, and with the fan in a high temperature state, the lubricant will not break down as quickly. 4. Pressurized oil reserve circuit design: This design ensures the bearings and the storage tanks are connected with lubrication entering the bearings system. 5. Specially designed axel: the axel is made of specially designed aerospace materials that are resistant to wear and tear. Overall, the Hydraulic Bearing design can be said to be a revolutionary change. It is far superior in every aspect to the Sleeve Type design and has a greater advantage in noise control than the traditional ball bearing fans. It does this all without reducing the cooling effect of the entire system. TOOL-LESS FIXED PINS – Lastly, rubber fixed pins also reduce vibrations allowing the fans to run more quietly and a tool-less design makes them easy to mount. No tools required. Share your thoughts on this news story!